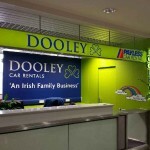 Dan Dooley Car Rental in Dublin Airport will give you a taste of a real Irish service! Three plain steps to get yourself a great car hire deal from Dan Dooley car hire from Dublin Airport! First of all, use “Search for car hire” box, pick Dublin Airport [DUB] [IE], and dates when you’ll need a car. You will get a wide range of offers and, in order to hire a car from Dan Dooley, apply search filters. Then, check out the deals from this supplier. Read Dan Dooley reviews if you want. Car hire in Dublin Airport by Dan Dooley presents you its vehicles and their prices for every taste and every pocket! Cars for any purpose! When you see a car suiting your requirements, read “Rental Conditions” section to find out what does the price of this deal include. GPS or FREE Wi-Fi can be also included! FREE stuff for our valuable clients! 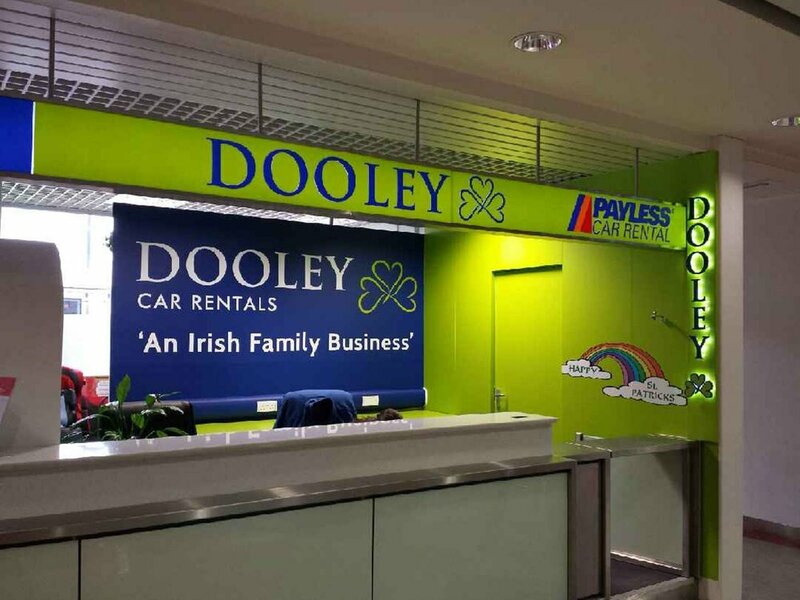 Dooley car hire at Dublin Airport is available to drivers of age starting from 21 years! Young driver’s age is from 21 to 24 years and the surcharge is 40 EUR per day. Young drivers can hire mini, economy, compact, standard (intermediate) and estate cars. Always pay attention to the age requirements of each separate deal, as generally driver’s age is defined as 25 to 99 years. Some offers have a slightly higher minimal age limit – 28 years; but you won’t have to pay any additional charges! Driving license held for minimum of 2 years has to be presented by drivers when picking up a vehicle. If you’re traveling with friends or you’re having passengers who can drive as well, allow yourself to relax and let others drive. That will cost you 10 EUR per day as a charge per additional driver. Dan Dooley at Dublin Airport allows you to cross the border to Northern Ireland only. GPS will cost you 10 EUR per day regardless of rental day’s number. Personal accident insurance for 6.5 EUR per day. Or you can pick up and return the car full if hiring for 1 to 3 days. Only credit cards – American Express, MasterCard, Diners Club, or Visa (but not debit one) – are suitable for payment. When filling out “Driver Details” reservation form, pay your special attention to “Secure payment details”. And, let us tell you a little secret: on DublinHire.com you can get a car hire deal cheaper than from a provider directly, especially if you book in advance. As you finished with the booking form, confirm it by printing the Voucher. In both Terminals 1 &2 Dooley has its rental desks. In Terminal 1 you have to exit the baggage belts and customs and turn right. You will see Dooley’s desk right there in the car hire area in the Arrivals Hall. If you’re at Terminal 2, exit the Arrivals Hall, go through the glass bridge and on the left you’ll see the desk, which is the last one. In both Terminals the rental counter is opened for you every day from 05:00 to 23:00. When you pick up your car, you need to provide: driving license, credit card, printed voucher and passport. You will have to sign a car hire contract, and then you will be provided with all required information: maps, touring assist, returning instructions.